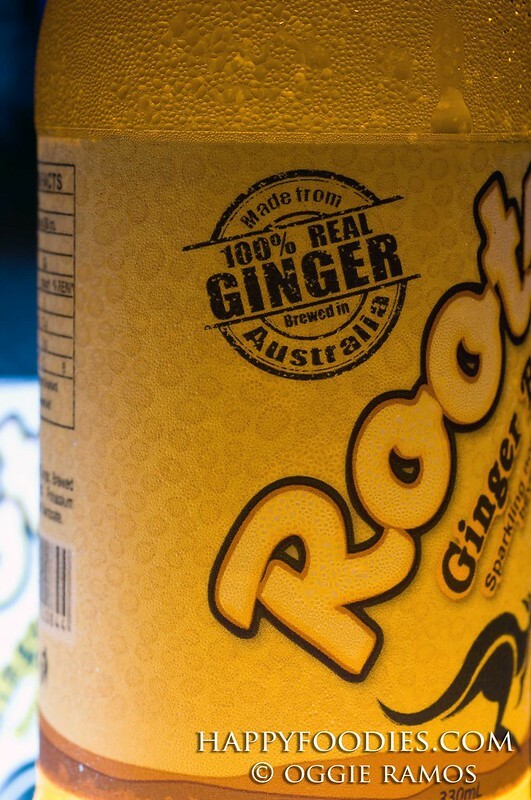 Your Happyfoodies have seen the amber bottles of this Aussie ginger brew in 7-Eleven outlets sometime ago but never paid much attention until Roots was formally launched in Outback Restaurant in Makati almost a week ago. The theme was something along the lines of exploring a new brew. Seems like a promise that almost every new drink promises, right? But one sip was all it took to get a pleasant, refreshing surprise. Ironwulf says: I actually tried Roots several months back while looking for something different to drink in a convenience store. I was intrigued by the bottle packaging and “Ginger” flavor as I wasn’t in the mood for iced tea at that time and I seldom drink cola. I felt the fizzle as I drank and that distinct ginger flavor flowing. It was different alright. I drank again and I found the taste growing on me. It was new and refreshing and surely a nice alternative to the popular sodas. The packaging claims it has health benefits that comes along with ginger like it soothes the throat, improves digestion and is a natural anti-oxidant. 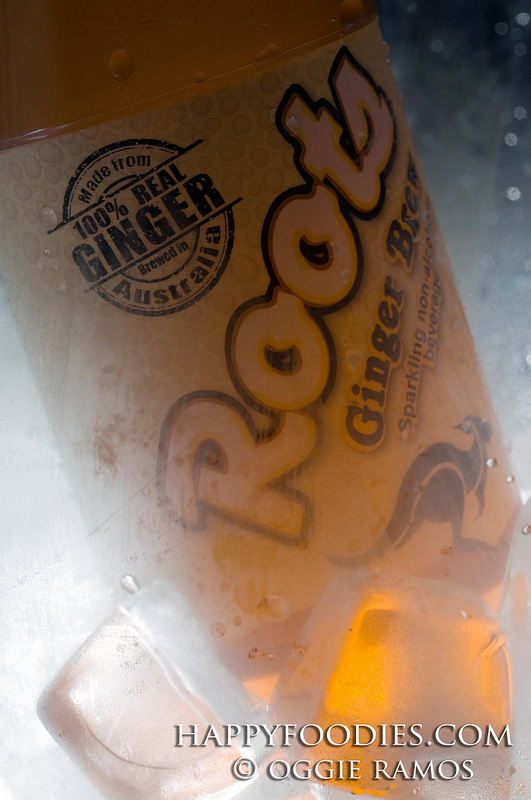 Whether those claims deliver a placebo effect or not, Roots Ginger Brew is a refreshingly new alternative in the beverage market. Lagal[og] says: Since I have acid reflux, I’ve steered away from colas years ago. I do sometimes miss the fizz. I didn’t expect Roots to be the same sort of bubbly but it is very refreshing with a clean taste that’s not too overly sweet. That it’s made from 100% real ginger is a treat for me since there’d been studies made on the benefits of ginger on curbing acidity levels. I cautiously tried one bottle just for the taste of it and soon, I’m on my second bottle. Could be a great, and should I say more healthful alternative to colas as a cooling off beverage. This drink looks great. I’ll try this one soon. Thanks! I just made this last week and I would greatly appreciate if you share my page to your followers. Thank you very much!